One of the most developed countries in the world, Japan attracts thousands of investors each year, even though the cultural impact is strong in the beginning, especially for EU or USA entrepreneurs. 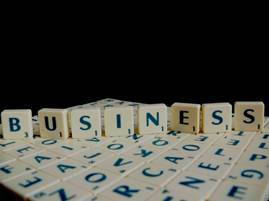 The forms of business are mostly similar to the worldwide forms of business. There are the sole proprietorships, the companies, and the partnerships. The partnerships are divided into general partnerships (Go-mei Gaisha) and limited partnerships (Go-shi Gaisha). The companies may be joint stock companies (Kabushiki Kaisha) or limited liability companies (Goudou-Gaisha). Our company registration specialists in Japan can offer you more information about each type of company and can help you choose the most suitable one for your business needs. The sole proprietorship is the basic form of business in Japan. Is formed by a single owner, fully liable for the business debts but who can keep the profit of the company. In the event of liquidation, his personal assets are not protected from the creditors’ claims. Company registration in Japan is simpler for this business form, compared to others. The joint stock company is a preferred business form by those interested in starting a company in Japan because it can be created with a small capital, as little as 1 JPY. It must have at least one founder who can also be the sole shareholder; it can be a natural or legal person. A board of directors assures the management of an open Kabushiki Kaisha, and it must have at least one company director. According to the Companies Law, the company chairman and the president of the company may have limited decision-making abilities, in those cases where the presence of all the appointed directors is needed. The directors of the open joint stock company are elected for an undetermined period of time. All the joint stock companies must have at least one director resident in Japan. There is no need to subscribe a minimum share capital at registration of a joint stock company, only the registration fees must be paid. Those companies with a large share capital (500 million JPY or more) or those that have outstanding liabilities must comply with the corporate governance system imposed by the Japanese Companies Law. The Japan company formation process for the joint stock company is based on the Articles of Association, which must state: the name of the company, the address of headquarter, the name and address of the founder, the goals of the company, the value of the authorized capital and if applicable, the amount of non-cash contribution and the number of shares issued for that and the name of the members who provides non-cash contribution. 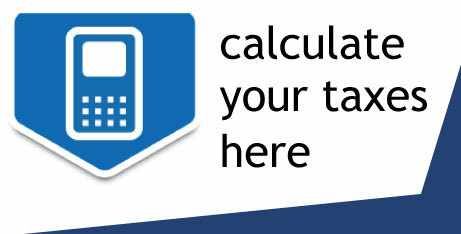 Sometimes, the articles of association mention the maximum number of auditors and directors. The joint stock company may issue all types of shares. The Articles must be registered at the Japan Legal Affairs Bureau which will provide a certificate of registration. If you need help in the procedure of starting such a company in Japan, you should know that we can elaborate the Articles of Association and we can take care of the entire registration procedure of this company type. The limited liability company (Goudou Gaisha) was introduced by the new Commercial Code of Japan in 2006, replacing the former Yugen Gaisha. As the name suggests, the members of a limited liability company in Japan have their liability limited by their contribution to the capital. It is managed by a manager, a natural person or a corporate body. The managers are elected for an undetermined period of time. A goudou gaisha may be reorganized as a joint stock company if all the company’s members agree with the decision. A general partnership is a form of business usually formed by members united under the same name, with the same objectives. The difference between the usual general partnership and the Japanese general partnership is that the last one may be formed by a single member. The risks of incorporating this type of business are indisputable: if the partnership cannot pay its debts and obligation, the personal assets of the partners may be seized. The limited partnership is formed by two types of members: with unlimited liability, called general partners or with liability only to the extent of their contribution to the partnership’s capital called silent partners. Just like in the case of the general partnerships, the assets of the members are not protected in case of liquidation. Investors can choose to form a limited liability partnership. as its name suggests, it allows for the same limited liability (up to the amount of capital invested) just like in the case of the limited company, but with the benefits of a partnership (sharing the business goals and collaborating towards them). Foreign investors who choose to create a company in Japan have another option apart from the limited liability company or a joint stock company can open a branch office in Japan. A Japanese resident must be appointed as the branch representative. Foreign companies benefit from a simpler incorporation procedure: they need to appoint the local representative, bring forward the foreign company’s documents and create a local place for doing business. Branches in Japan are taxed at the same corporate income tax rate for the profits they derive from the country. Subsidiaries in Japan are generally established as joint stock companies (Kabushiki Kaisha) or a limited liability company (Godo Kaisha). Subsidiaries in this country are considered as being more ingrained to the business environment of Japan because they have the status of a Japan business entity. 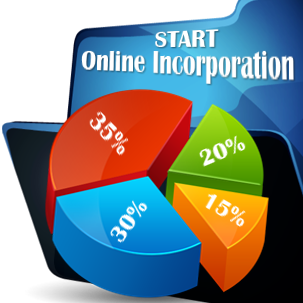 This type of company is organized as a separate legal entity, having a flexible relationship with the parent company. Subsidiaries in Japan have a greater legal authority of acting independently than branches and can assume liabilities separately from the parent company. Our company formation advisors in Japan can offer more details on this matter. Contrary to opening a branch office, registering a joint stock company as a subsidiary requires a longer and somewhat costlier procedure. Many international corporations, though, choose to incorporate a joint stock company subsidiary in Japan as it confers a greater confidence for customers and business partners, proving the company’s commitment to the Japanese market. When international corporations or business owners want to effectuate a market research before opening a trading business entity or a branch or subsidiary, they have the option of setting up a liaison office in Japan. A liaison office in this country can be established without any type of notification or registration with the Japan authorities. This type of office does not have to pay any taxes either and the funds needed for the office can be freely sent to it. To gain such a status, the liaison office in Japan should not be a permanent entity and it not allowed to sign contracts, take orders or collect or invoice money. When starting a business in Japan, it is possible to set up two or several business entities. For example, you might want to open an entirely owned subsidiary. In addition, you have the option of continuing using existing relationships with a trading company which generates sales, while the subsidiary is established. - the future business owner must also create and register a company seal for the Japanese company. With respect to the company management structure, no matter the type of company chosen, it must have at least one director who is a Japanese resident. Among the requirements for opening a company in Japan, one must also know that even if the law does not require the share capital to be deposited at once, it must be increased during a specific period of time depending on the type of company chosen. Also, the company’s bank account must be opened after the registration procedure is completed. Our local consultants offer personalized company registration services in Japan. applying for the necessary business licenses or obtaining specific authorizations. If you want to set up a company in Japan and need guidance, we can offer the support needed throughout the whole procedure of registering the business with the authorities. How much does it take to open a company in Japan? The registration procedure can be completed in a few weeks, no matter the type of Japanese company. Foreign investors should know that the lengthiest procedure is the opening of the corporate bank account which can take up to four weeks, which is why in the beginning the shareholder is required to set up a personal bank account in order to deposit the share capital and then move it to the company’s account. 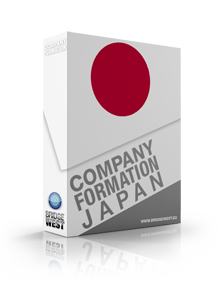 Our Japan company formation agents are experienced in registering companies and are ready to assist businessmen no matter the legal structure chosen by them.